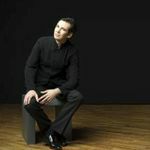 Martin Stadtfeld jumps in with the Neue Philharmonie Westfalen under the direction of Rasmus Baumann, performing Beethoven’s Piano Concerto no. 1 in C major in Gelsenkirchen, Recklinghausen and Kamen. Audiences can look forward to great musical performances, authentically and profoundly played through Martin Stadtfeld’s historically influenced way of interpretation and technique. Stadtfeld’s unique style of interpretation may also be enjoyed in Erlangen at the Open-Air concert on July 25th with the Junge Philharmonie Erlangen and conductor Gordian Teupke. On the program this time will be Schumann’s Piano Concerto in A minor.